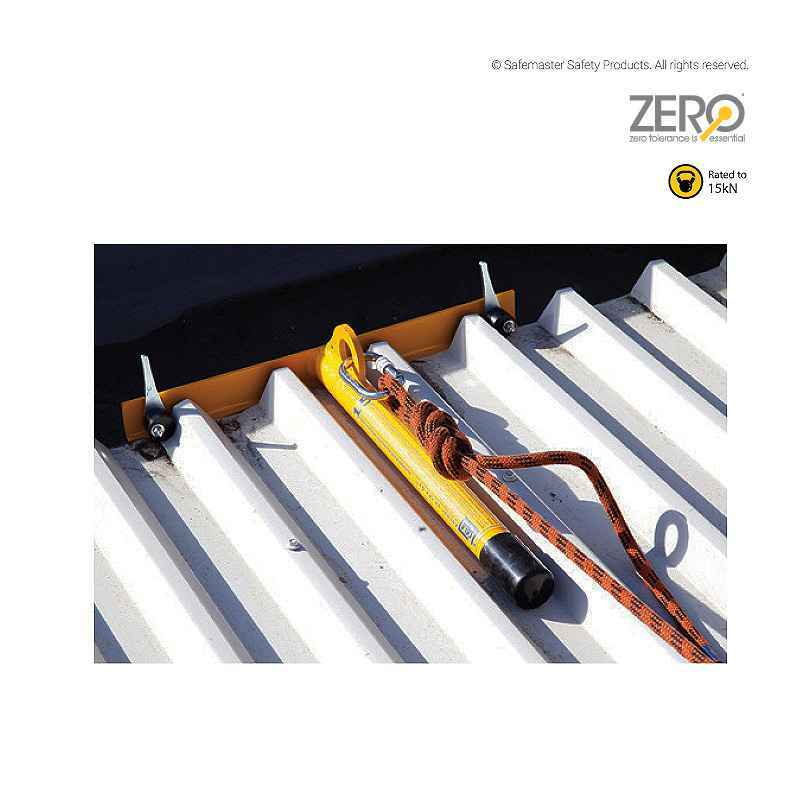 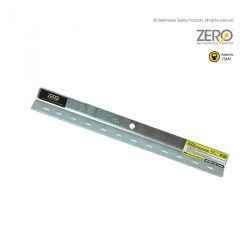 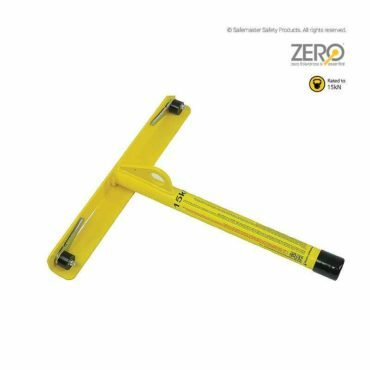 Temporary T-Bar roof anchor provides simple and effective way for roof access onto sheet metal roofs. 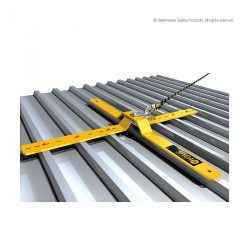 Fits to edge of the roof sheeting (in gutter line) with simple cam clamps to hold in place. 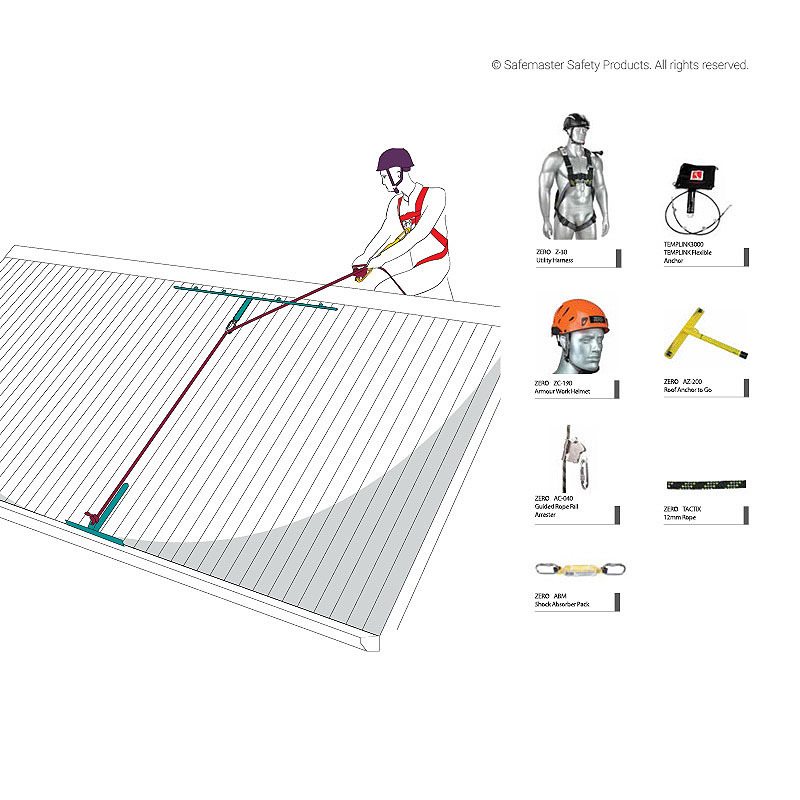 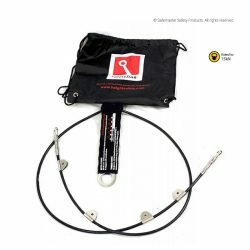 By attaching a ropeline and throwing the rope to the opposite side of the roof, it means workers can access the roof area and add other fall arrest anchorages on the upper roof area as required.